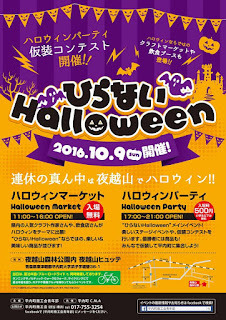 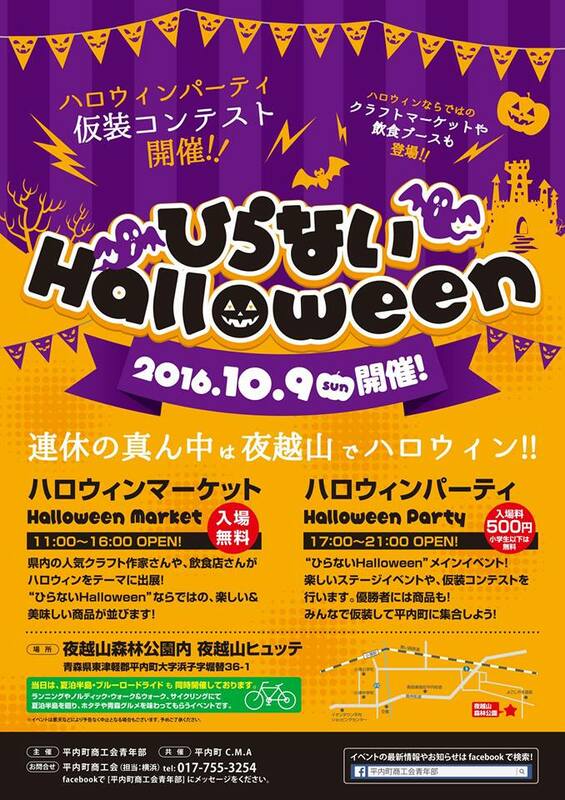 Halloween market and Halloween party at Yogoshiyama Forest Park! 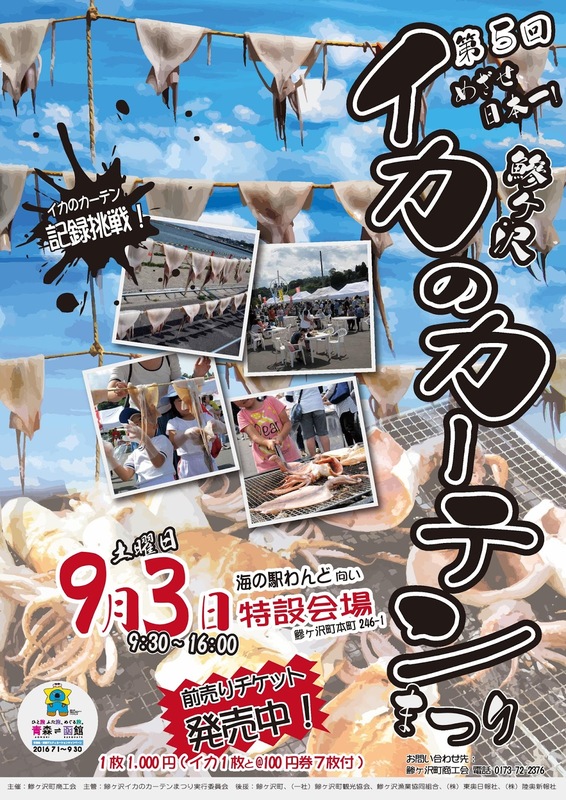 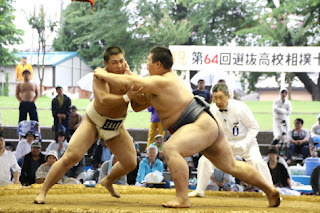 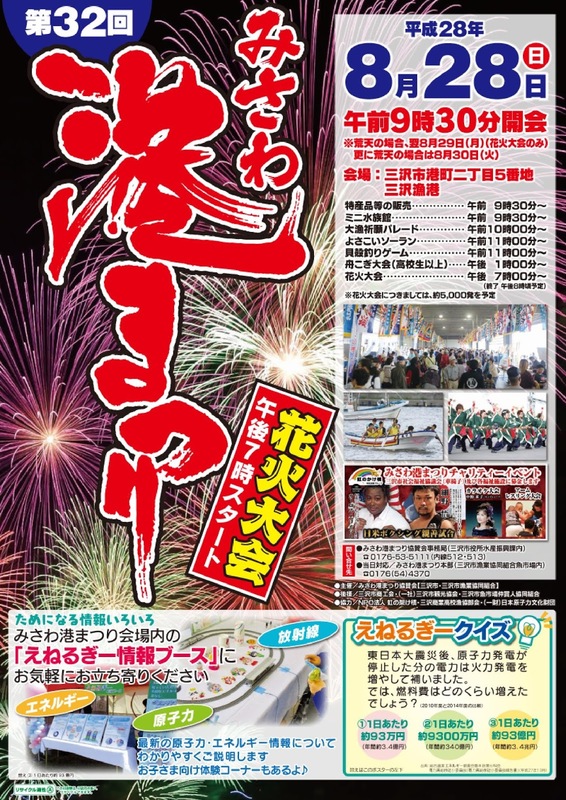 A food festival celebrating two of Takko town's garlic and beef! 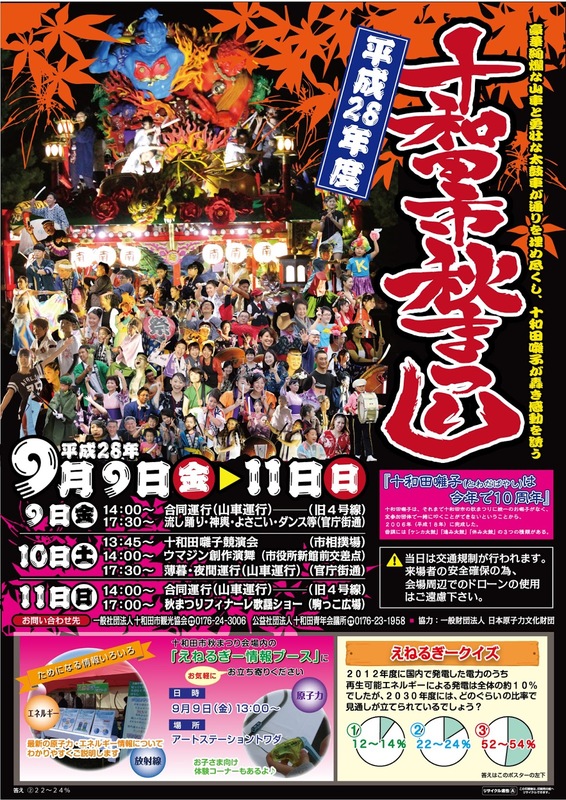 Enjoy a "handmade" market and workshops during the day, and the beauty of Tsuru no Maihashi Bridge illuminated with candles in the evening. 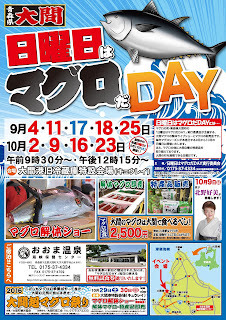 This year's event is spread over two weekends. 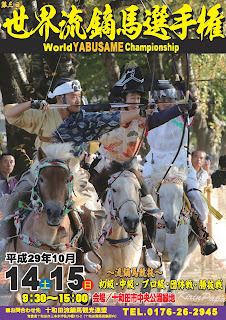 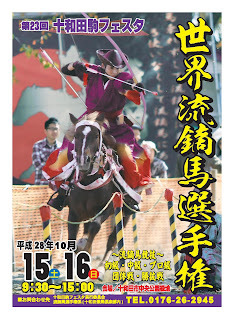 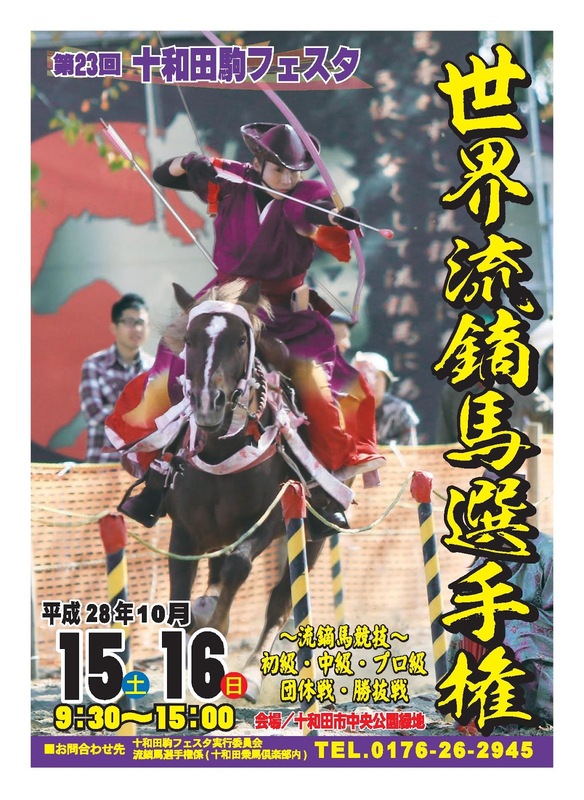 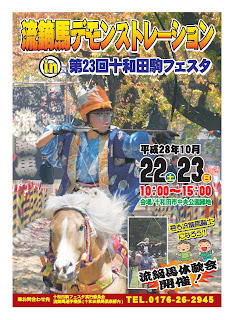 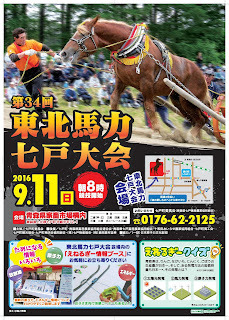 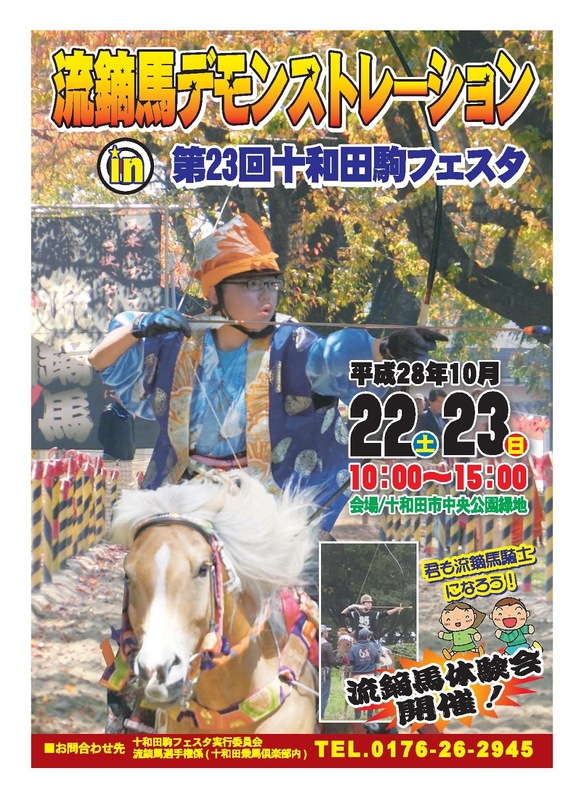 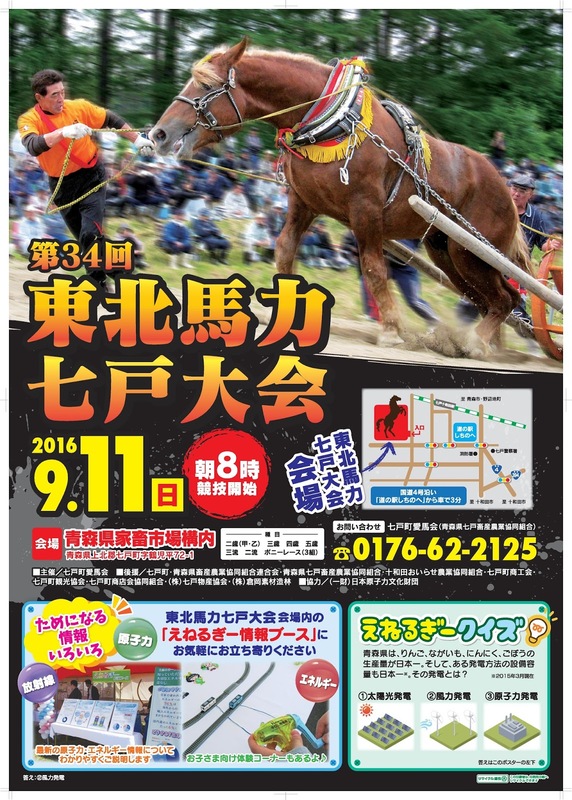 The yabusame (horseback archery) competition is the first weekend, and yabusame demonstrations, show jumping and other events are on the second weekend. 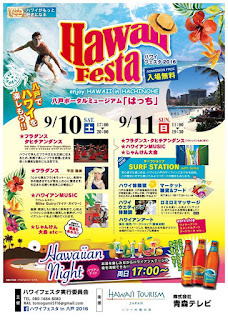 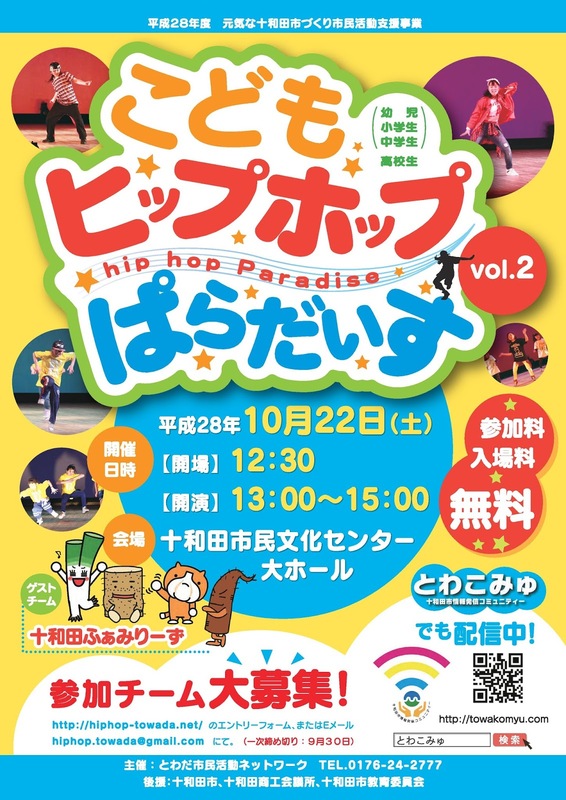 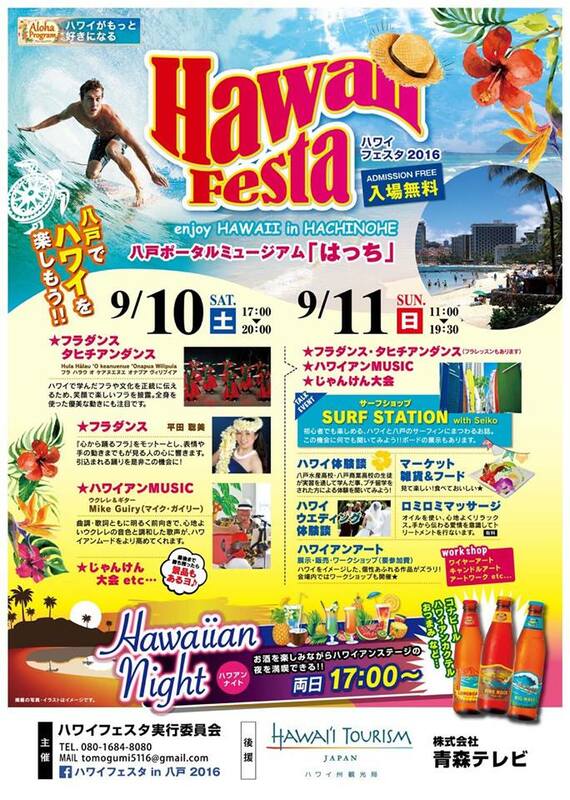 Enjoy a taste of Hawaii in Hachinohe! 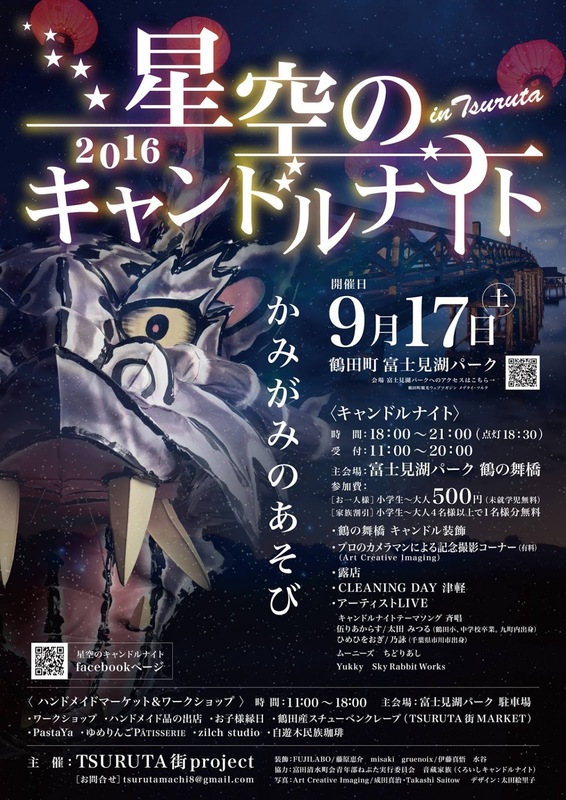 This year's theme is "Let's dance with masks!" 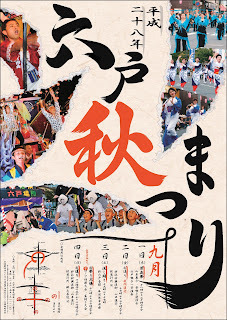 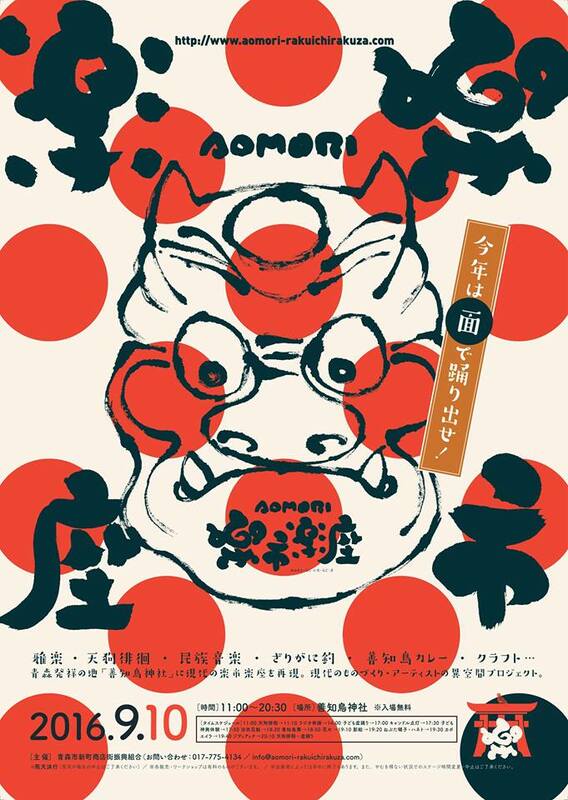 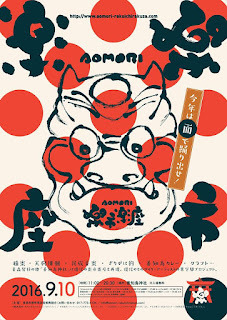 Everyone is invited to make masks and do a Bon Odori dance with tengu (a Japanese supernatural creature or Shinto god). 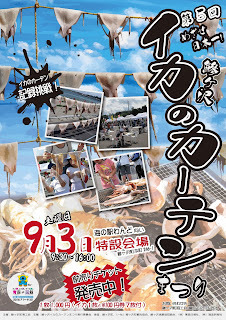 This year's goal is to make a 90m curtain with 900 dried squids! 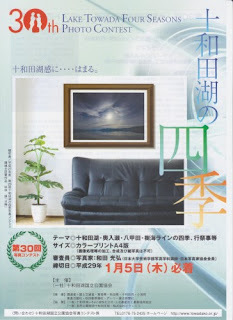 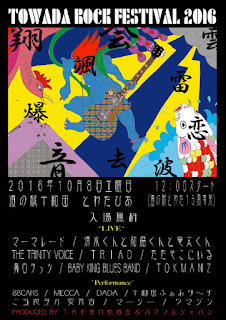 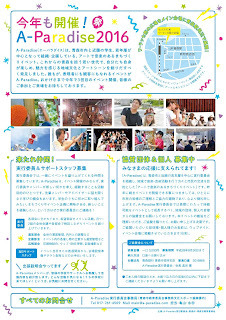 Location: Special Venue across from Umi no Eki "Wando"
"Two days to play with art and music in Aomori. 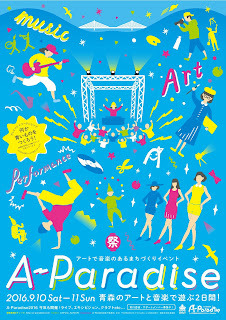 It is A-Paradise 2016." 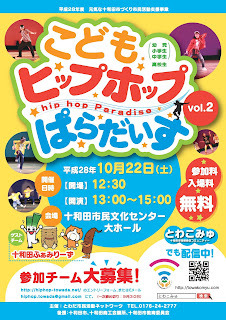 Art Paradise is an art, music and performance event organized by local students and young people with the goal of revitalizing the city through arts and culture. 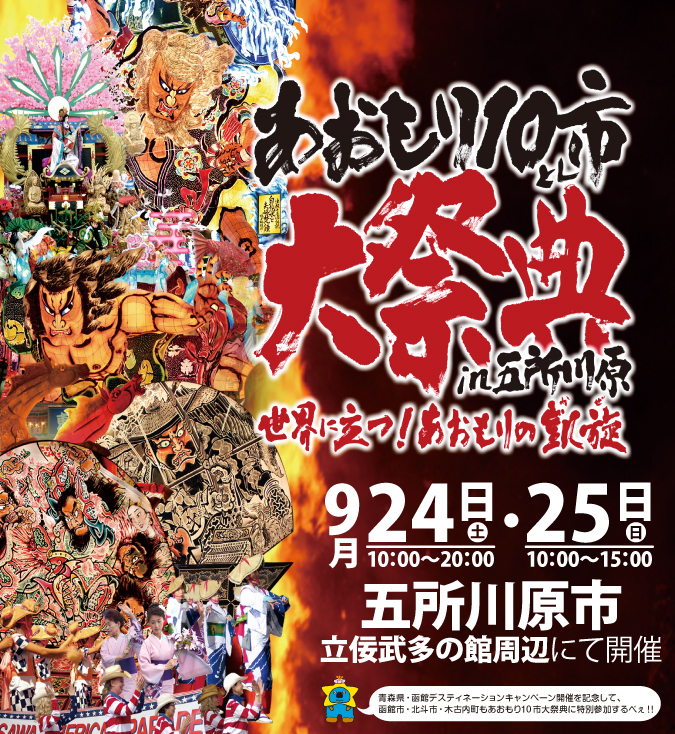 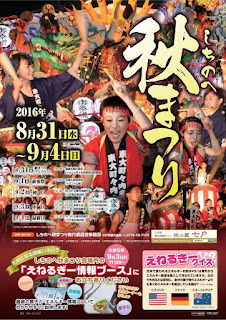 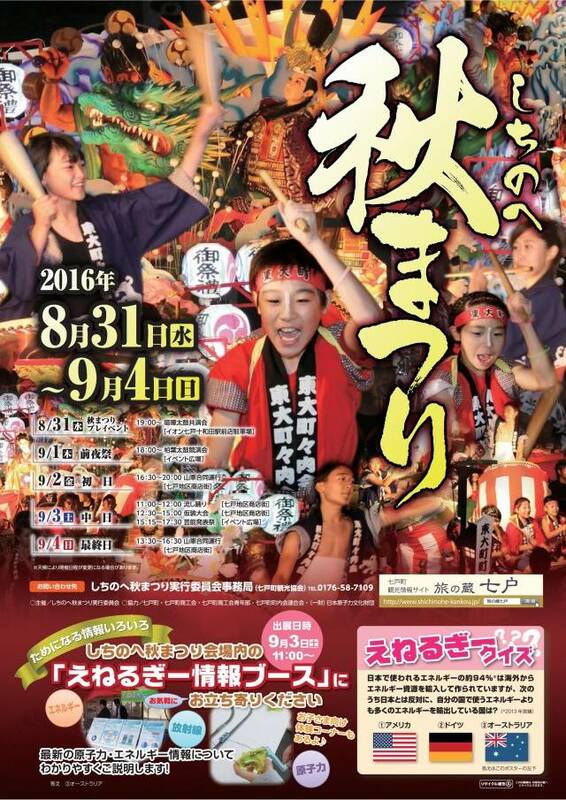 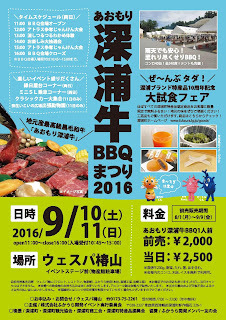 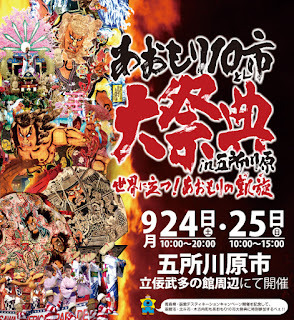 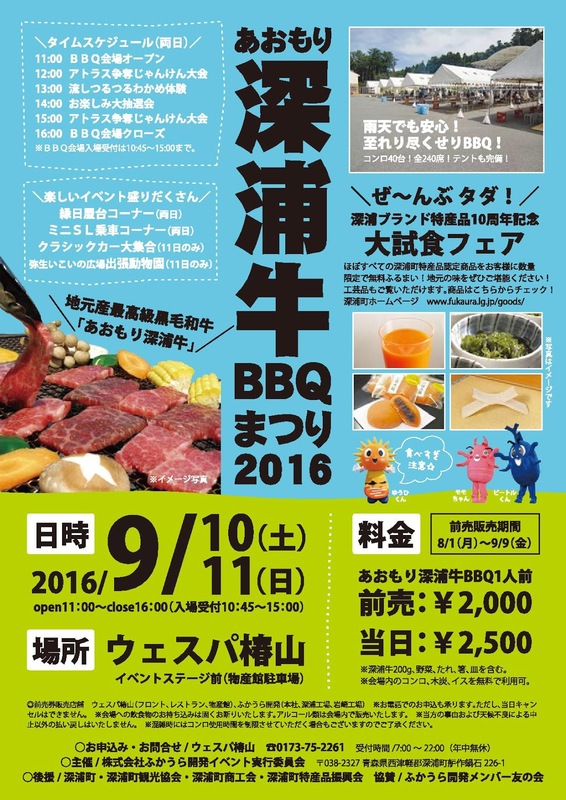 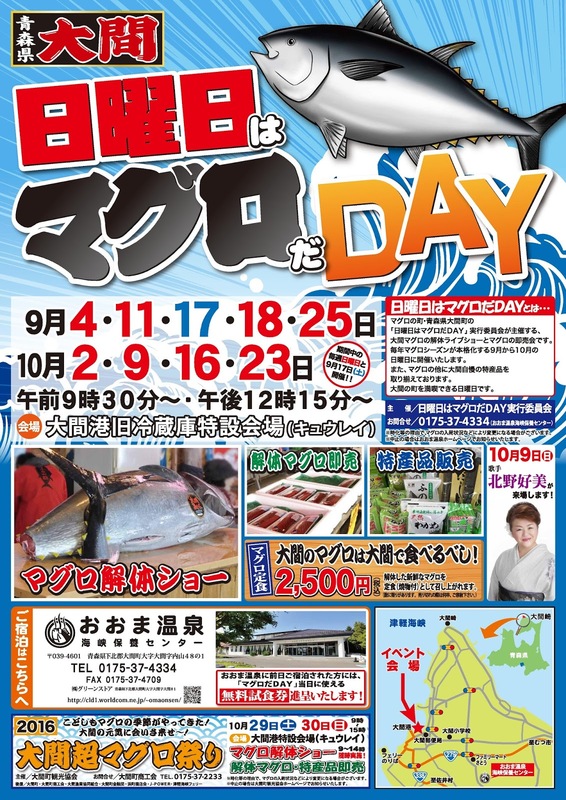 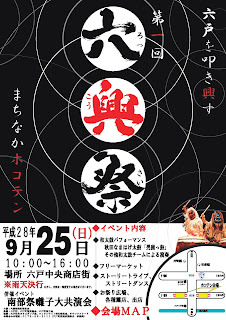 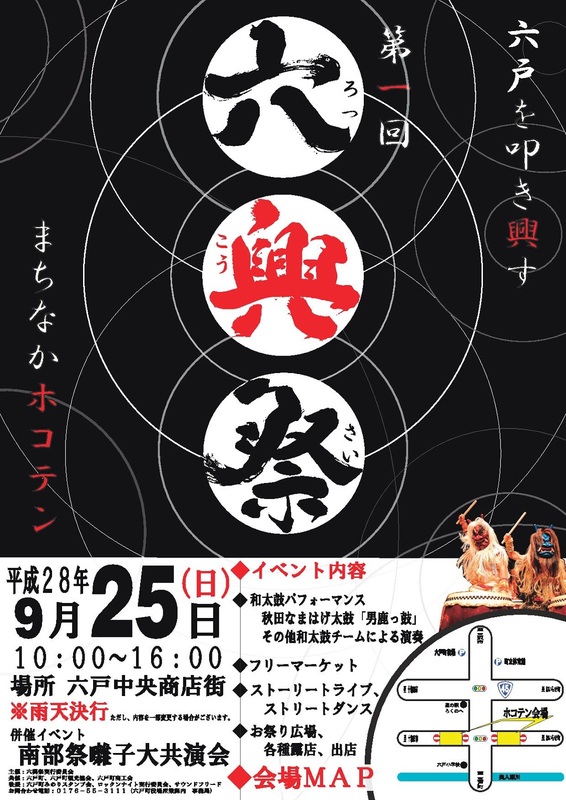 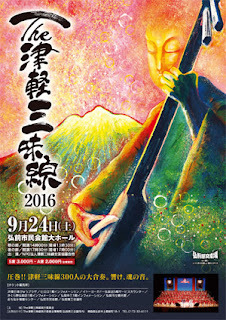 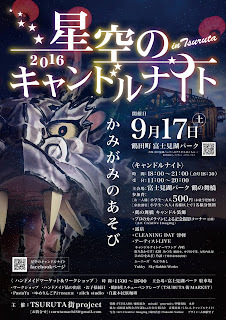 An event where you can enjoy Aomori Fukaura's high grade kuro wagyu beef and various fun events! 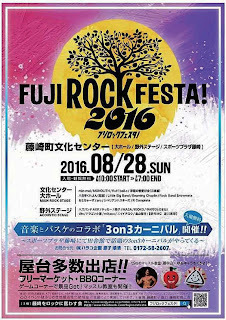 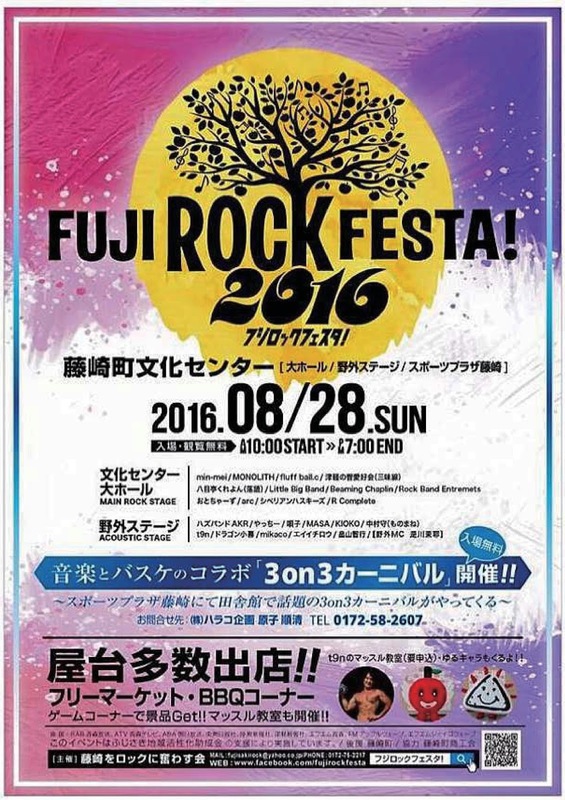 A late summer rock festival with indoor and outdoor stages, food stalls, and more! 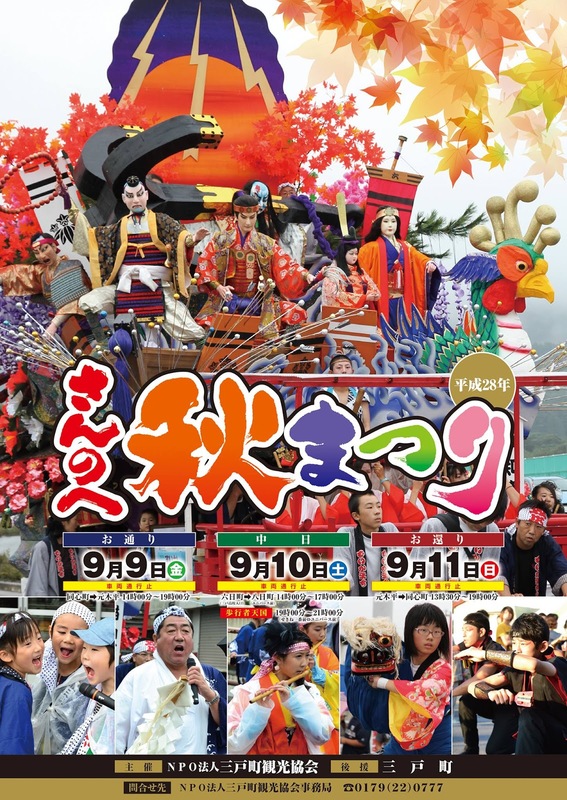 A fall festival featuring float parades, traditional performing arts, nagashi odori dancing, and more! 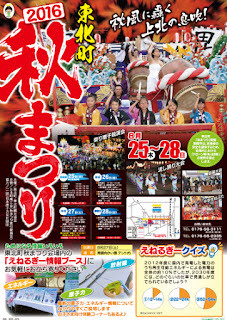 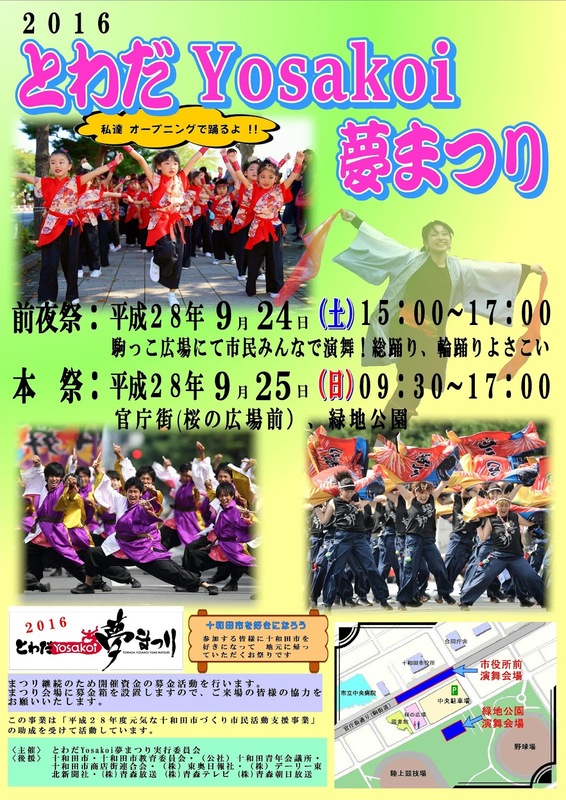 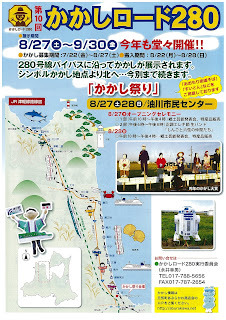 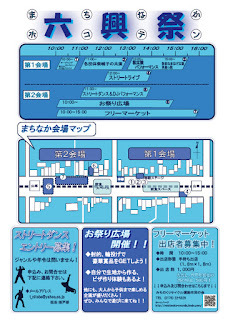 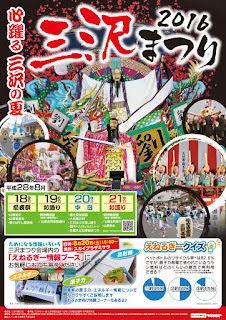 Free live music and other performances, including local group Umagin and the Towada mascot characters Towada Families! 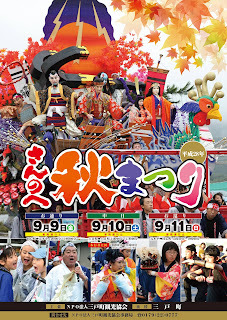 Try oden and sake from around Japan--from Hokkaido to Okinawa! 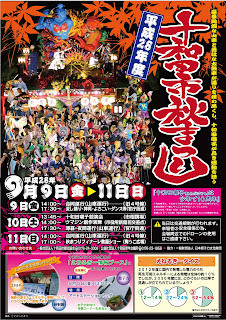 An waterside festival featuring various activities, performances, etc. 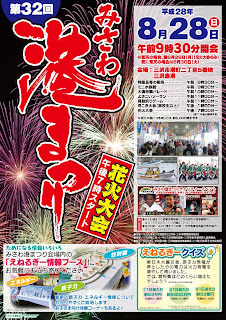 and fireworks. 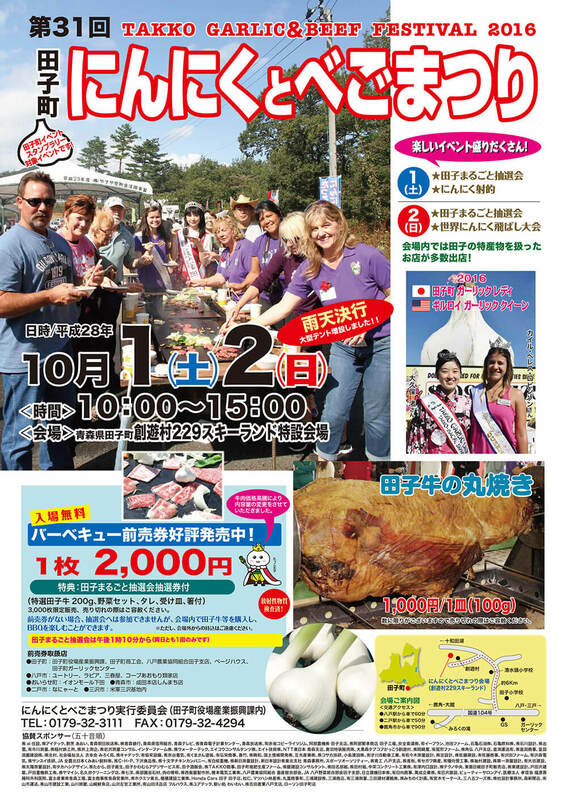 Sannohe Town's Fall Festival features a parade of floats, dancers, and more! 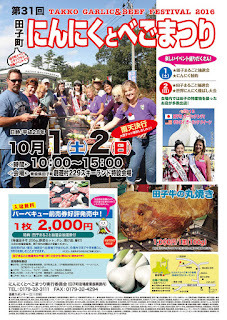 Fall Festival featuring floats, costumes, dancing, and more! 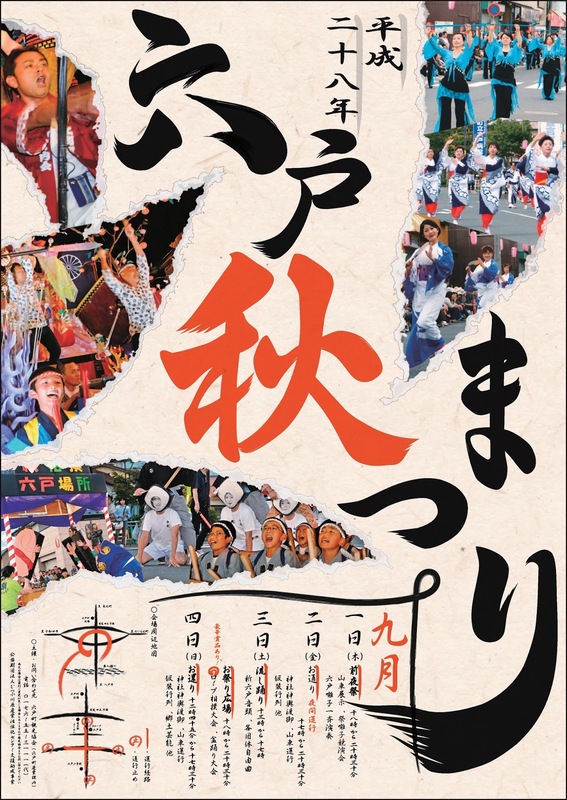 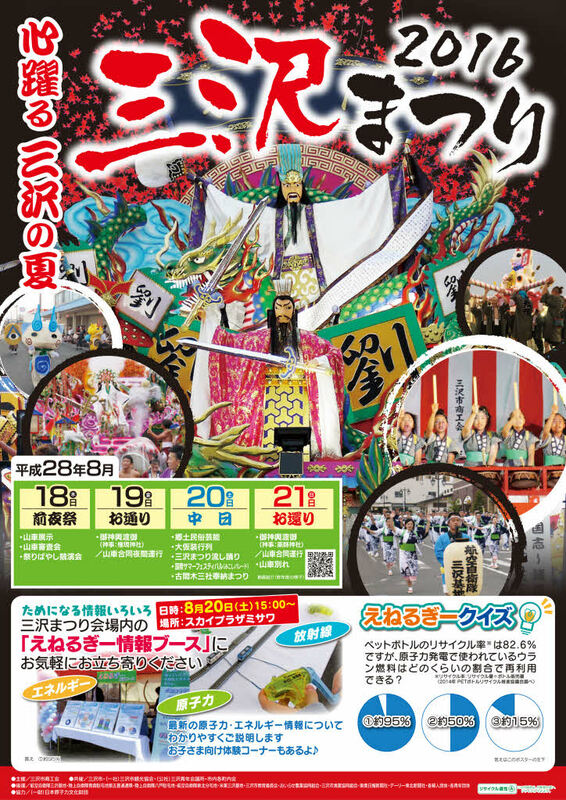 A festival where you can see floats and festival music performances from various festivals across Aomori and Iwate Prefectures all in one place! 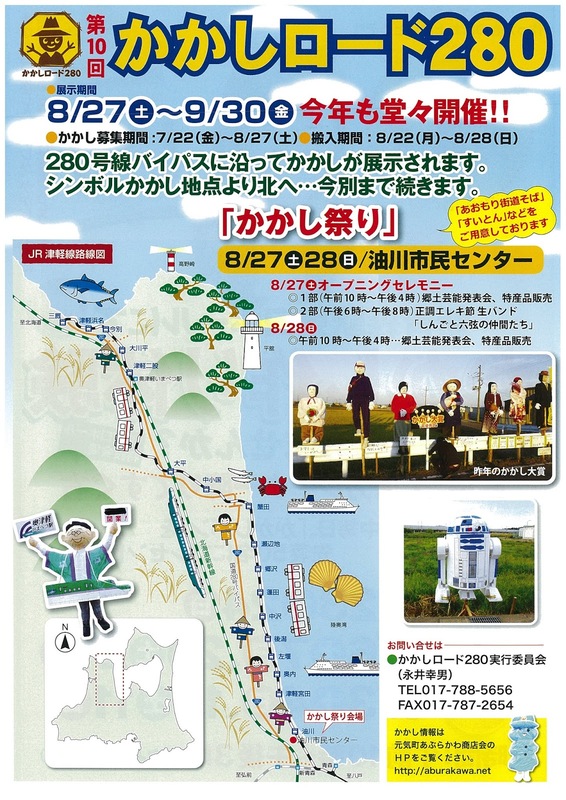 Enjoy a scenic autumn drive with original scarecrows on display along National Route 280 in Aomori City. 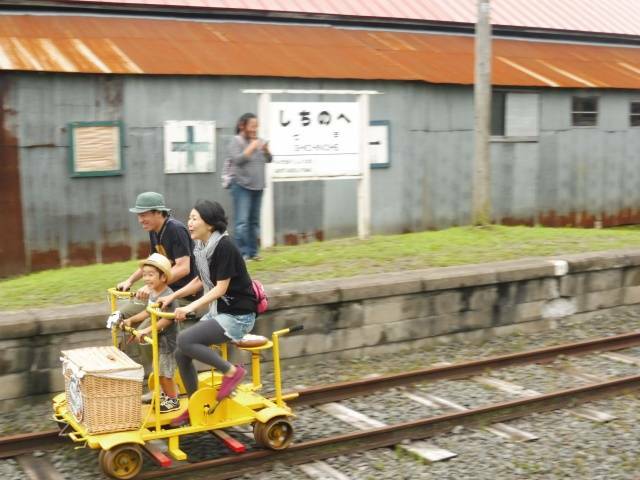 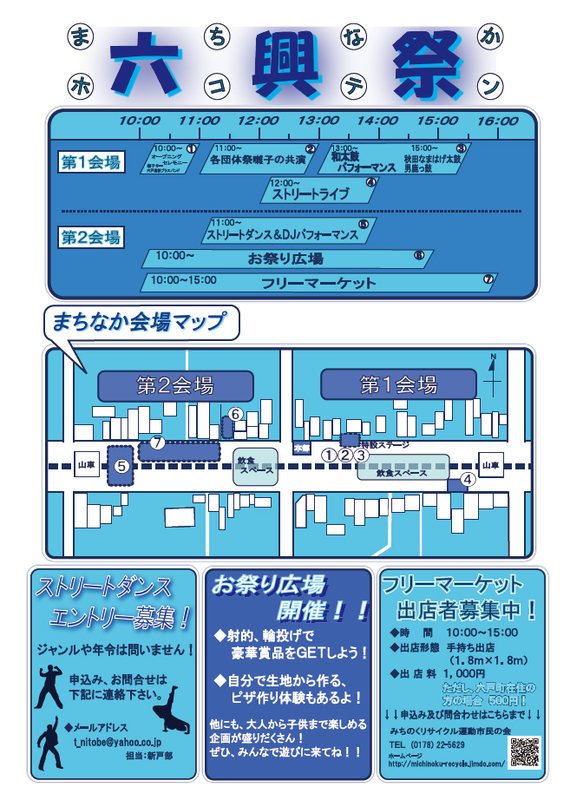 A chance for train fans to see the old Shichinohe Railbus and also try out riding a railroad track rail-cycle! 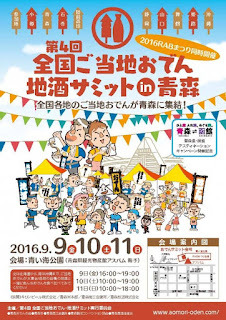 Notes/Cautions: Using drones, and playing Pokemon Go in the event venue area are strictly PROHIBITED. 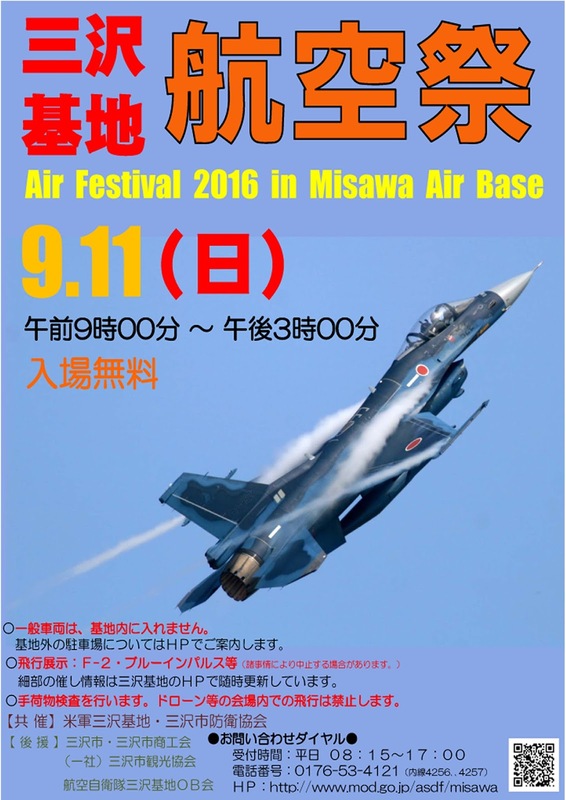 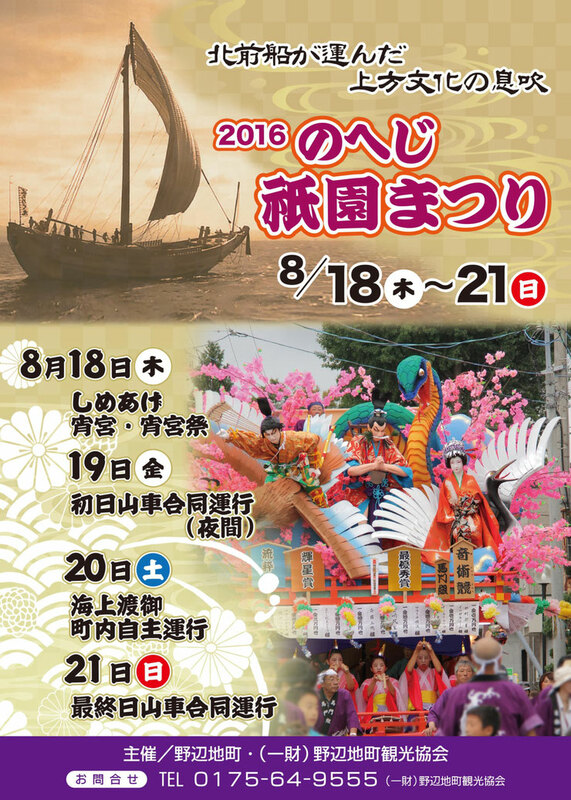 Misawa City's main summer festival features float parades, traditional performing arts performances, and more! 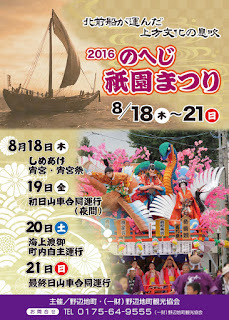 The Noheji Gion Festival features impressive two-tiered floats decorated with doll figures and has its origins in the Kyoto Gion Festival.